Make plans to join us at the 22nd annual Okanagan Fest of Ale to sample the best beers and ciders from 65 craft breweries from BC and beyond. 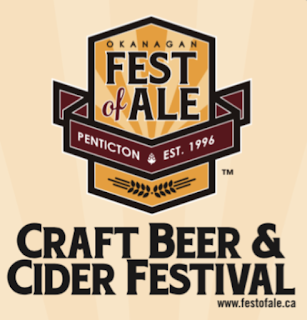 Enjoy tastings of 175+ quality-crafted brews and ciders including new releases, experimental brews and cask ales. Guests of the fest can also look forward to fabulous food, with many restaurateurs incorporating a craft inspired twist on their dish, and great live entertainment taking place both indoors and out. 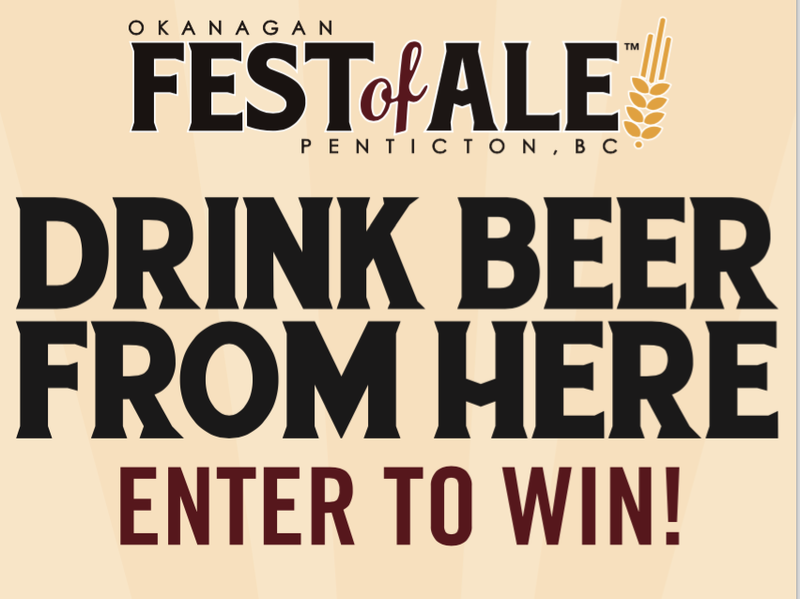 Sip, Stay and Celebrate in Penticton at the 22nd annual Okanagan Fest of Ale! In partnership with our local hoteliers we are pleased to offer specially priced hotel accommodation + ticket packages for the 2017 Event. 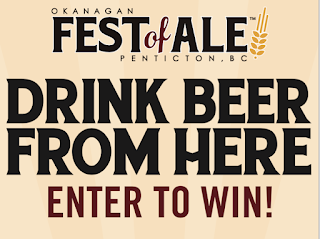 Sip & Stay Packages will be offered until March 26th and are subject to availability – check out the package options on our website and Book your Fest of Ale Getaway Today! Drink Beer From Here Contest Alert! Increase your odds by dropping by Government St. Liquor in Penticton to enter by ballot!